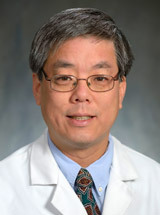 Dr. Tsai is employed by Penn Medicine. Nagle SJ, Shah NN, Ganetsky A, Landsburg DJ, Nasta SD, Mato A, Schuster SJ, Reshef R, Tsai DE, Svoboda J.: Long term outcomes of rituximab, temozolomide, and high-dose methotrexate without consolidation therapy for lymphoma involving the central nervous system Int J Hematol Oncol : 2017. Kremer B, Tsai DE, Debonera F, Cohen P, Schuster SJ. : Spontaneous remission of acute myeloid leukemia after discontinuation of lenalidomide. Leuk Lymphoma 11 : 1-3,2017. Debonera F, Nasta S, Martinez-Lage M, Schuster SJ, Tsai DE. : Primary diffuse large B-cell lymphoma of the central nervous system: A rare case of spontaneous remission. Int J Hematol Oncol : 2017. Luskin MR, Heil DS, Tan KS, Choi S, Stadtmauer EA, Schuster SJ, Porter DL, Vonderheide RH, Bagg A, Heitjan DF, Tsai DE, Reshef R.: The impact of EBV status on characteristics and outcomes of Posttransplant lymphoproliferative disorder. Am J Transplant 15 : 2665-2673,2015. Tsai DE, Luskin MR, Kremer BE, Chung AK, Arnoldi S, Paralkar VR, Nasta SD, , Stadtmauer EA, Schuster SJ, Xavier M.: A pilot trial of quantitative EBV PCR in patients undergoing treatment for their malignancy: potential use of EBV PCR in multiple cancer types. Leukemia & Lymphoma 56 : 1530-1532,2015. Paul TM, Liu SV, Chong EA, Luger SM, Porter DL, Schuster SJ, Tsai DE, Nasta, SD, Loren A, Frey N, Perl A, Cohen AD, Weiss BM, Stadtmauer EA, Vogl DT. 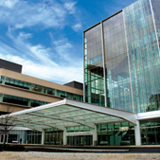 : Outpatient autologous stem cell transplantation for patients with multiple myeloma. Clin Lymphoma Myeloma Leuk 15 : 536-540,2015. Ellebrecht CT, Choi EJ, Allman DM, Tsai DE, Wegener WA, Goldenberg DM, Payne AS: Subcutaneous veltuzumab, a humanized anti-CD20 antibody, for treatment of refractory pemphigus vulgaris. JAMA Dermatology 150 : 1331-1335,2014. Carson KR, Newsome SD, Kim EJ, Wagner-Johnston ND, von Geldern G, Moskowitz CH, Moskowitz AJ, Rook AH, Jalan P, Loren AW, Landsburg D, Coyne T, Tsai D, Raisch DW, Norris LB, Bookstaver PB, Sartor O, Bennett CL. : Progressive multifocal leukoencephalopathy associated with brentuximab vedotin therapy: A report of 5 cases from the Southern Network on Adverse Reactions (SONAR) project. Cancer 120 : 2464-2471,2014. Karuturi M, Shah N, Frank D, Fasan O, Reshef R, Ahya VN, Bromberg M, Faust T, Goral S, Schuster SJ, Stadtmauer EA, Tsai DE: Plasmacytic Posttransplant lymphoproliferative disorder: a case series of nine patients. Transplant International 26 : 616-622,2013. Landsburg DJ, Stadtmauer E, Loren A, Goldstein S, Frey N, Nasta SD, Porter DL, Tsai DE, Perl AE, Hexner EO, Luger S: Receipt of maintenance therapy is most predictive of survival in older acute lymphoblastic leukemia patients treated with intensive induction chemotherapy regimens. American Journal of Hematology 88 : 657-660,2013.